What Type of Branded Furniture is Best For Your Business? Branded furniture is a creative and innovative way to improve your company’s brand recognition and further your advertising and marketing efforts. But with so many different options available, from director’s chairs to bean bags to photo cubes, which type is right for your company? While there isn’t necessarily a right or wrong answer, asking yourself some key questions can help you decide which type of branded furniture will best suit the needs of your specific and unique business and help you further your goals. Ask yourself these key questions before investing in branded furniture so that you can make the best decision for your company! A great first step in choosing branded furniture for your company is to ask yourself this: what are your goals? Obviously, to increase your brand reach and promote your company. But how do you see the branded furniture helping you with that goals, specifically? Some examples might be by displaying your branded furniture in a trade show booth to make it more inviting for potential buyers, or providing seating in a common area in a mall to expose your business to new eyes. How you intend on using the branded furniture to help attain your goals can help you make some logistical choices. For instance, if you are displaying your furniture in a trade show booth, you’ll want to be sure to choose branded furniture that packs and ships easily and inexpensively. If displaying in a large casual common area, an eye catching option like a Design-Air Rocker might be the direction for you. What do you want the furniture to say about your company? Your choice of promotional aids can help make a statement about your company. So what is the message you want to convey to customers? Do you want to establish yourself as a fun-loving and creative company? If so, customized bean bags might suit your personality perfectly. 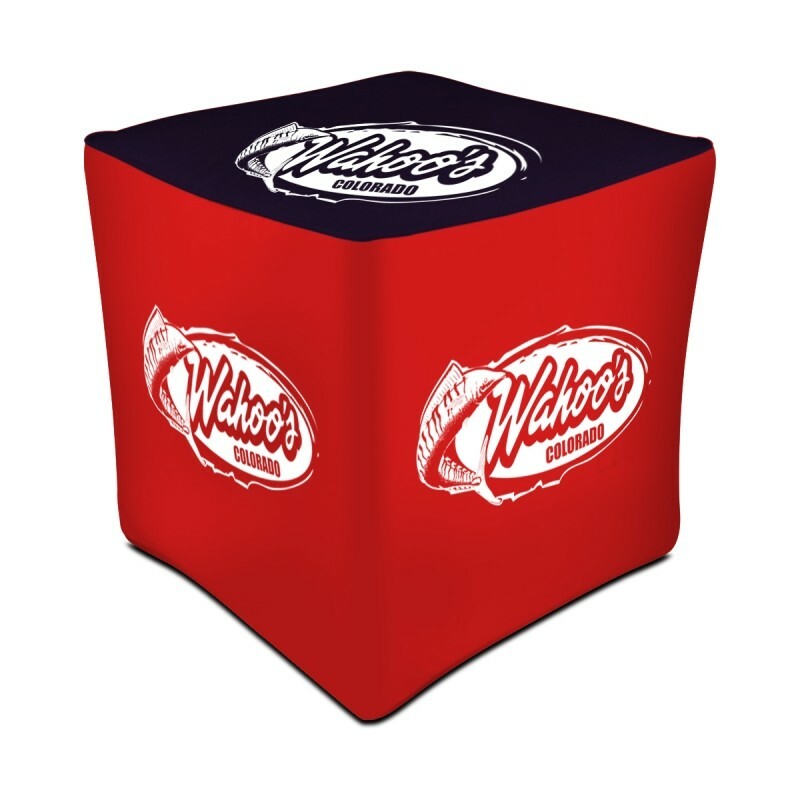 On the other hand, if you want to stay more traditional, you may decide to choose customized chair wraps, which can be fitted to standard chairs and can make an equally powerful but more business like statement. The amount of units needed may affect what type of branded furniture you choose. This could be for many reasons. To offer just one example, you may need to consider space restraints. If you want to employ branded furniture in a panel conversation setting at a conference, you may want to invest in a larger number of units of branded furniture. This might be just the job for a furniture option which can be created in large quantities and travels easily, such as custom printed chair wraps. For smaller quantities or one-offs, you might want to look into items which have smaller production runs available, such as our photo cubes. What sort of imagery do you want to print? What is it that you want to print on your branded furniture? If it’s a simple logo, then just about any option is going to be suitable for your needs. 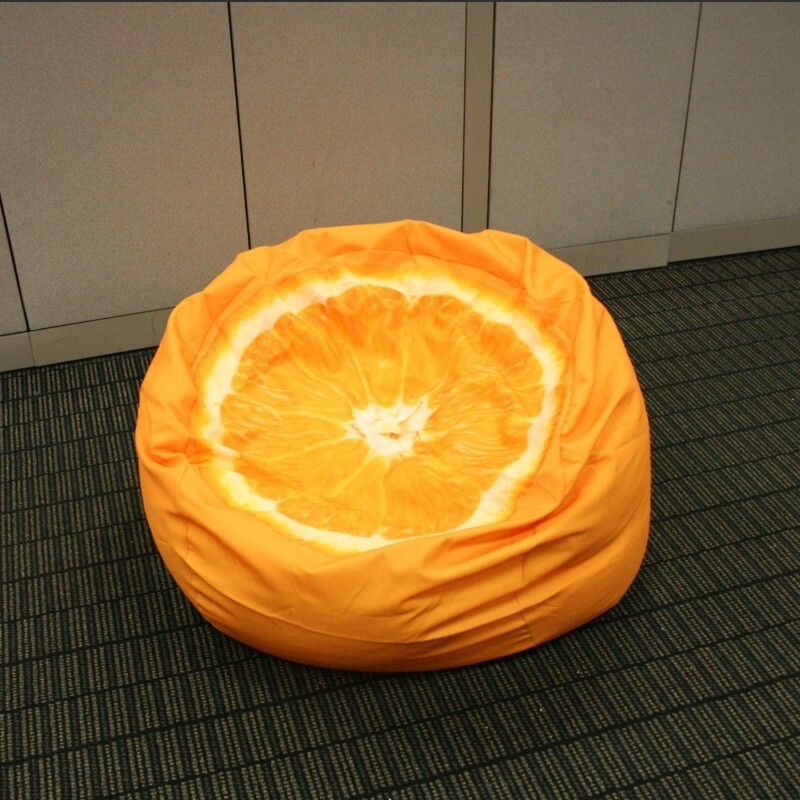 However, if you want to go a little bit more creative and include more involved imagery that might require more of a “canvas”, options like a blow up stool, photo cube, or customized bean bag can provide more surface area so that you can include photos or more information about a product or service or some cool aspect of your company. Where will you display the furniture? Where do you intend on physically displaying the furniture? Will it be indoors or out? Will it be a high traffic, high wear and tear sort of setting? Or will it be a calmer environment? This can affect your choice. 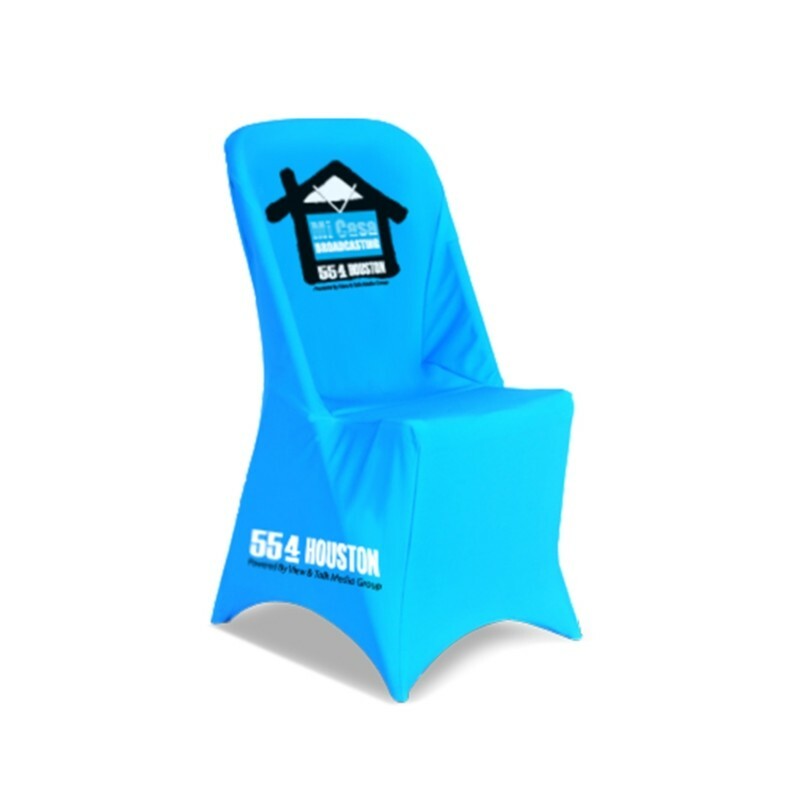 For example, an option like a customized inflatable chair can be appropriate for outdoor settings and can create a playful vibe for events by the beach or that might be more of a party setting. On the other hand, if you’re providing seating in a retail store, you might want a more comfortable option like our Design-Air couch can provide a more static seating surface that still allows you the flexibility to assemble and disassemble quickly. Will you need to transport the furniture? Whether it’s a short distance or a long one, consider if and how you might need to heft the furniture from time to time. You want to choose an option which is easy to transport according to your needs. 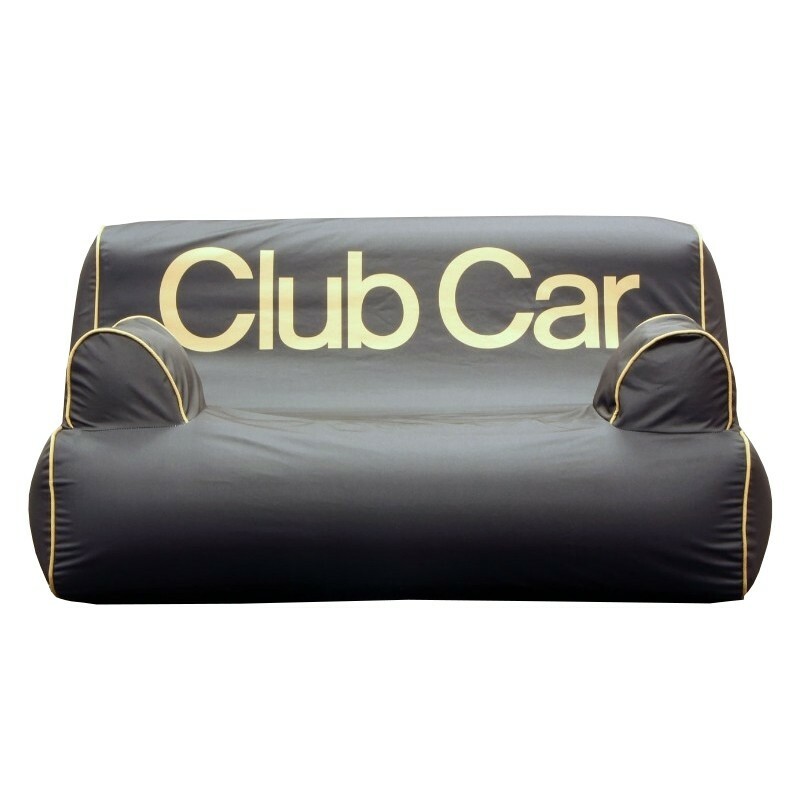 Inflatable furniture options are great for transit distances both large and small in that they are lightweight and can be carried from place to place easily by employees. Since they can be deflated as well, they are an easy and fairly lightweight option for if you need to ship or transport the furniture for events. You wouldn’t buy a piece of furniture for your home without first measuring to make sure that it meets your needs. Buying branded furniture is no different! Carefully consider the scale of the space in which it will be displayed. For instance, a lounger might simply be too long for certain spaces; an assemblage of photo cubes might be a more casual seating option. On the other hand, if you have a large area for display, you’ll want to make sure that the furniture you choose is large enough to fill the space. Ultimately, this is one of the most important questions to ask yourself before buying any type of branded furniture: what do you like? Take some time to browse the branded furniture offerings on Above All Advertising just to see what appeals to you. Go with your gut. Do you like the classic shape of director’s chairs? Or do you like the space-age look of some of the inflatable furniture? Or do you like the casual coolness of bean bag chairs? Often, what hits you right away will be the best and most appropriate choice for your company. Listen to those first impressions! Conclusion: Branded furniture can offer a lot to your company in terms of increasing your advertising reach. By asking yourself these eight simple questions, you’ll be in a better position to choose the perfect option for you and your company. Have you ever used branded furniture in your advertising efforts?